When I made the choice to become a Nanny many years ago, I was very fortunate to find appreciative families who desperately needed my help. I worked for a Scientist Mom and a Post Graduate Dad for many years, and stayed friends with them long after my Nanny days were over. Then, as the economy began to worsen, I worked for households where both parents were professionals and were able to leave for work each morning with peace of mind that their prized possessions were being taken care of and loved. I moved to the West Coast and found lifestyles to be very different than the East Coast, where I was born and raised. That meant I had to change my approach and find new ways to “sell” myself. I advertised in a local paper and a family contacted me from only 4 miles from my home. Mom was still pregnant and was looking for a “Mother’s Helper”, a few days/week for only a few hours. I began working for this family when the little boy was 2 weeks old. I worked 20-25 hours/week and I felt ‘invaluable’ to this Mom. I worked for them for 5 months. One day, the bottom fell out from under me – she no longer felt she needed me, paid me 6 weeks severance pay and I was gone. Needless to say, I was devastated. That’s when I was pointed in the direction of Nanny Transitions, owned by Glenda Propst, and my outlook on life changed! Nanny Transitions offered me more answers than I had questions for. Glenda seemed to know the right thing to say to me, at precisely the right time. She opened up an entirely new venue into the Nanny world, ones that I never knew existed. One of these new venues was International Nanny Association (INA) and their annual conference. My finances still suffering from the loss of my job, Glenda informed me that Nanny Transitions sponsored a scholarship contest for new members, which could be won by writing an essay. I won the contest and my registration was paid for by Marni Kent. I still remember the day I received the phone call from Glenda – it was like I had won the lottery! And at that very moment, my life took a turn and I have not looked back since! Who does this? Why do some people feel compelled to do that? Why am I doing this? These are some of the questions that people have asked me since I decided to ‘pay it forward’ for the scholarship fund for INA conference. 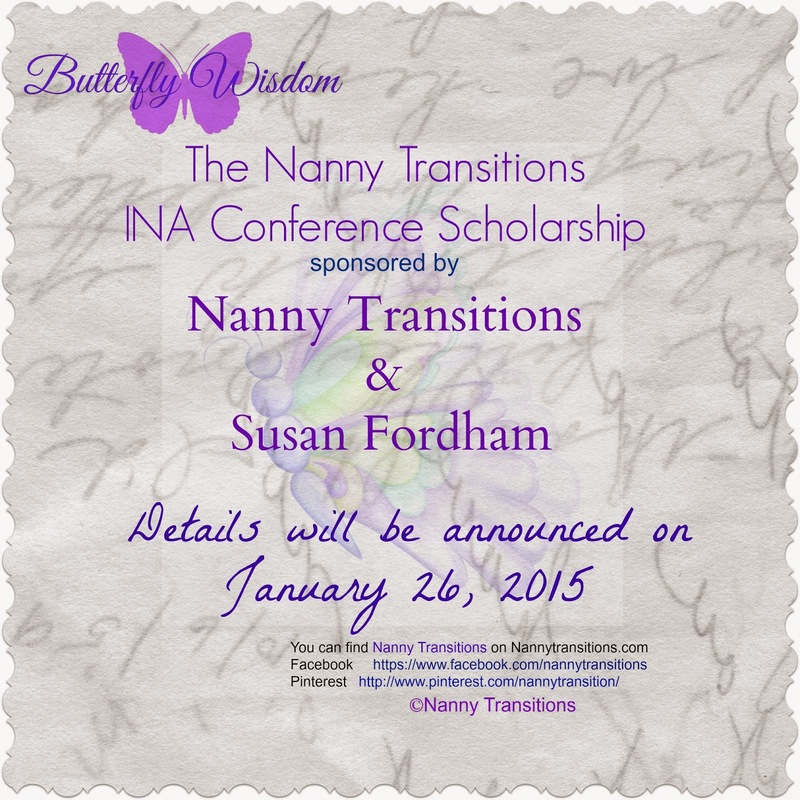 Marni Kent (THE NANNY MENTOR) chose to pay it forward and that gave me the opportunity to enter the Nanny Transitions Essay contest for an opportunity to attend my first INA conference in Los Angeles in March 2014. My essay was about what it meant to me to be a Nanny. Much to my amazement and surprise, I won! My registration was paid for and I was on my way – on an incredible journey that made such an impact on my life, it’s hard to imagine my life without the people I met and the education I received in one weekend. That conference and that experience has had such an impact on my life that when I realized that I could not attend the INA conference in Cancun in 2015, I decided that I wanted to help make it possible for someone else to go in my place. My heart and spirit will be in Cancun, but someone else will take my place physically. To that person, I want to say…The people you will meet will open their hearts to you and will become your forever friends. The education you will receive will be immeasurable. And you will have memories that will last you a lifetime. Be prepared to take lots of pictures, take lots of notes and be prepared to laugh…A LOT!! In other words, ENJOY YOURSELF! It is an honor and a privilege for me to join forces with Nanny Transitions to provide this scholarship opportunity for someone else. Nanny Transitions “Facebook page”And that your INA membership is current.